Heard of Guadalcanal? Check. But what about the rest of the South Pacific? Between 1999 and 2012, Australia committed troops to multiple peacekeeping and stabilisation missions in Timor Leste, the Solomon Islands and Bougainville. In this podcast, get to know the neighbours–Australia’s neighbours. Listen to Natalie Sambhi interview ASPI analyst and resident silver fox, Dr Karl Claxton, on why the South Pacific matters, its political and economic development, and its key players (Papua New Guinea, Fiji, Tonga and New Caledonia). They discuss Australia’s and New Zealand’s respective roles in supporting maritime security and why the US should take more notice of the South Pacific as part of the rebalance. 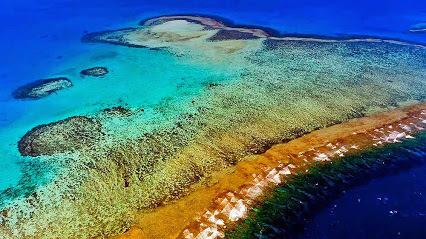 Audio Editing By: Dmitry F.
The 3rd World Congress of Marine Protected Areas (MPAs ) was held in Marseilles and Ajaccio in October 2013 and the Government of New Caledonia reacted quickly by officially opening in April 2014 the Natural Park of the Coral Sea. This is an important issue for France, which has the second largest maritime space behind the United States [Which recently drastically increased the size of its Pacific Remote Islands Marine National Monument]. Indeed, the New Caledonian park occupies its entire exclusive economic zone, nearly 1.3 million km². What are the issues and the objectives of this park? Which obstacles the government of New Caledonia will have to face? Harold Martin, the President of the Government of New Caledonia, announced the creation of the park in August 2012 at the annual meeting of the Pacific Islands Forum. He relied on a strategic analysis of the maritime space planning, conducted in 2012 with technical support from the Agency of Marine Protected Areas. Five parks were recently created in France. However, only two are operational (Iroise and Mayotte) and have a management plan and a team ready for action. 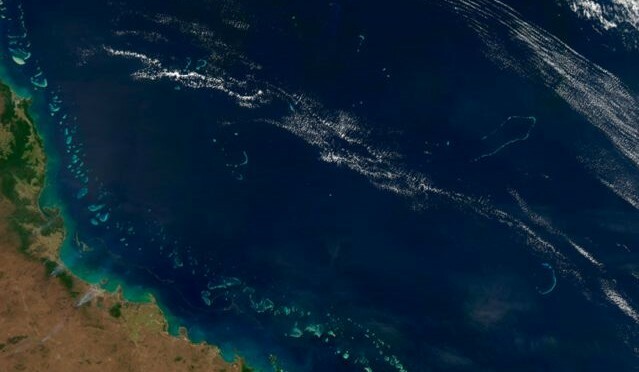 The natural park of the Coral Sea is today one of the largest protected marine areas in the world: 1.3 million km², which represents 95% of waters on which New Caledonia is sovereign. This also amounts to 12.7% of the entire French maritime space. The decree creating the park was adopted on 23rd April. This new space contributes to strengthening the French network of marine protected areas. France announced its intention to classify 20% of its maritime territory into marine protected areas by 2020. Indeed, only 3% of waters are protected worldwide, while the target set by the Convention on Biological Diversity signed in Nagoya in 2010 and reiterated in Ajaccio last October was of 10%. It is necessary to protect the marine environment since 40% of the world’s oceans are permanently affected by human activities, in particular by overfishing, pollution and acidification linked to global warming. Anthony Lecren member of the Government of New Caledonia with the portfolio of sustainable development, presented the objectives of the park: this area is meant to protect the biodiversity, while contributing to the sustainable development of maritime activities and allowing New Caledonia to become a motor in regional dynamics in this field. Indeed, the main challenge is to generate a genuine shared management. For this, a management committee will be established soon. It will include local actors (institutions, civil society, traditional and scientific representatives) and it will be chaired by the High Commissioner of the Republic, representing the French state (equivalent to governor) and the President of the Government of New Caledonia. Within three years, it will develop a management plan that will define conservation areas, reserves of ecosystems and those suitable for fishing and tourism. Those proposals will then be sent to the government of New Caledonia for adoption. The latter is indeed competent in managing the resources of the maritime space while the French government retains the power to maintain sovereignty over these waters. It is the government of New Caledonia that will support the financing of the management (many funds have yet to be raised), while the French state will be responsible for ensuring the functions of surveillance and law enforcement. Jean-Michel Paul reminds us that “We should also ensure that the next government, which [was] named after the provincial election on May 11, allocates the resources necessary for the proper management of the park.” And indeed, the uncertainty rules in the camp of local actors. In addition, this new park should be submitted to the Oceania 21 conference to be held in late June in Noumea. This event will bring together heads of state from 15 countries and recognized experts, including Nicolas Hulot , the Special Envoy of the President of the French Republic for the preservation of the planet and Jean-Michel Cousteau , grand-son of the Commander Jean-Jacques Cousteau and founder of the “Ocean Futures Society” association, based in Santa Barbara, USA. Unfortunately, delays have occurred at the administrative level that augured that it will be difficult to make this conference a summary of actions already underway. In New Caledonia, it is feared that many use conflicts emerge, especially when the park will cover areas where the native population, the Kanaks, are accustomed to fish. Another issue is the completion of the Extraplac program which suffers significant budgetary problems which seriously hamper its deployment, and beyond, the implementation of an ambitious maritime policy. In addition, France has taken a considerable delay in filing extension requests to the Commission on the Limits of the Continental Shelf, in the case of Saint Pierre and Miquelon, the French Polynesia and Clipperton. Negotiations with neighboring States relating to the boundaries of sovereignty have also led to freeze requests on New Caledonia, French Guiana, Guadeloupe, Martinique and the Kerguelen Islands. Alix is a writer, researcher, and correspondent on the Asia-Pacific region for Marine Renewable Energy LTD. She previously served as a maritime policy advisor to the New Zealand Consul General in New Caledonia and as the French Navy’s Deputy Bureau Chief for State Action at Sea, New Caledonia Maritime Zone. Few French even know that France claims one of the biggest aggregate maritime territories in the world. Indeed, due to its numerous overseas departments and territories, France possesses the second largest exclusive economic zone (EEZ) in the world, covering 11,035,000 km², just behind that of the United States, with 11,351,000km². Shinzo Abe, the Japanese Prime Minister, even said in June 2013, that “France is a big maritime power,” and that France and Japan should collaborate for security issues in the Asia-Pacific region. Following up this sentiment, during Japanese Foreign Minister Fumio Kishida’s visit to Paris, the two nations agreed to closer military ties. Funny enough, France is never mentioned in Australia’s Defence White Paper 2013. And yet Spain is, despite lacking any territory in the South Pacific. France on the other hand retains French Polynesia, Wallis and Futuna, and New Caledonia, a territory with an EEZ as big as South Africa’s. While the former colony maintained formal relations with France after gaining independence, two little inhabited rocky islands known as Matthew and Hunter became the cause of a maritime boundary issue between the two nations. In 1976, prior to Vanuatu’s/New Hebrides’ independence, France annexed Matthew and Hunter islands to New Caledonia rather than keep them in the New Hebrides condominium. The Vanuatu government of the time rejected French sovereignty over the islands and planted the Vanuatu flag on Hunter Island in 1993 but a French patrol vessel prevented the party from reaching Matthew Island. France nowadays maintains a naval presence and an automated weather station on Matthew. In 2009, the Vanuatu Prime Minister and the independence movement of New Caledonia, the FLNKS, signed a document – with no legal value – recognizing the Vanuatu sovereignty over Matthew and Hunter islands. This gesture is all the more surprising given that France has always stated that the two islands belong to the territory of New Caledonia, and that Vanuatu’s economy is largely supported by French development aid, as well as aid from Iceland, Australia, Japan, New Zealand, and others. But in Vanuatu, the legends associated with these southern islands demonstrate the importance of these two islands in the Ni-Vanuatu (Vanuatu people) tradition. Matthew is known as the “House of the Gods” where the spirits of the dead go rest. Ni-Vanuatu speak of traveling regularly from the islands of the Vanuatu archipelago to Hunter and Matthew, singing and dancing when they were on one or the other of the two islands in dispute today. On the other hand, there is no known legend of these islands in New Caledonia. The dispute spilled has also unsettled relations with neighbors. In 1982, for example, Fiji and New Caledonia signed an agreement on mutual recognition of their maritime boundaries, in which Fiji recognized French ownership of the Matthew and Hunter Islands. The action upset Vanuatu, which demanded that Fiji recognize Ni-Vanuatu sovereignty over the islands, stating that failure to do so would be a blow to peace in the region, but Fiji did not revoke its signature. Oh, I almost forgot: Hunter Island is also unofficially claimed by the micronation Republic of Lostisland, which undertook an expedition to the island in July 2012. Lostisland is an international project generally classified as a micronation, with citizens from all over the world aiming to achieve the independence and sovereignty of the Hunter Island. But the likelihood of it impacting New Caledonian or Ni-Vanuatu claims is nil. Nor are they big – Matthew is 0.1km² and Hunter 0.4km². So why are they so important for France? Is it because they are a sanctuary for the terns and playground for the studies of meteorologists and ornithologists? Of course not. France dreams of extending its sovereign rights over an additional 2,000,000km². But it is serious business – at stake are the exploration and exploitation of hydrocarbons and rare metals, as well fishery resources. The exact resource contents of these areas will have to be determined by further scientific studies. It is clearly a bet for the future. To take advantage of these potential riches, France filed extension requests for fourteen geographical areas with the Commission on the Limits of the Continental Shelf of the United Nations in 2009. A special French interdepartmental program (steering committee composed of seven departments) called Extraplac was created in 2002 to prepare for all potential expansion areas, without studying fisheries or mineral resources. Extraplac could also present common issues with other coastal states sharing the same continental shelf. 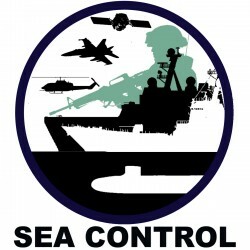 But the extension of the continental shelf would involve substantial financial resources to ensure the protection and control of the newly acquired areas, but the deep cut in the finances of the Ministry of Defense does not make this possible at the moment. A final problem exists. 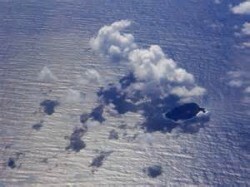 Article 121 of UNCLOS states that “rocks which cannot sustain human habitation or economic life of their own, have no exclusive economic zone or continental shelf.” However, the story of the inhabited Clipperton islet in the North Pacific with its 431,015 km² big EEZ shows that France, like many, has a broad interpretation of the ability to sustain economic life. At the same time, Article 47 of UNCLOS states that an archipelagic State may draw straight baselines “joining the outermost points of the outermost islands and drying reefs of the archipelago provided that within such baselines are included the main islands.” As such a state, if Vanuatu can also claim Matthew and Hunter islands as part of its territory and archipelago, it would be able to draw its baseline to the islands and thereby extend its EEZ from the islands without concern for Article 121. It’s important to note that the Commission on the Limits of the Continental Shelf is charged with making recommendations to states, based on scientific evidence, on demarcating continental shelves (thereby conferring rights) when these shelves exceed the standard 200nm EEZ. However, it is up to the states themselves to enact the recommendations and settle the territorial claims. Pretty interesting stuff happens in the South Pacific, huh?